Pour course sugar on a dinner plate. Wipe rim of four martini glasses with half of a lime, turn upside down and place in the sugar, rotating to ensure sugar sticks. Shake off any excess and set aside and let dry, approx 10-15 minutes. Place strawberries in mixing bowl and add 1/2 the powdered sugar plus juice squeezed from ½ of the lime. Pour rum over the strawberries and refrigerate for 30 minutes. In a separate bowl, mix the ricotta, other ½ of powdered sugar, half the mint leaves and half of the zest of lime. 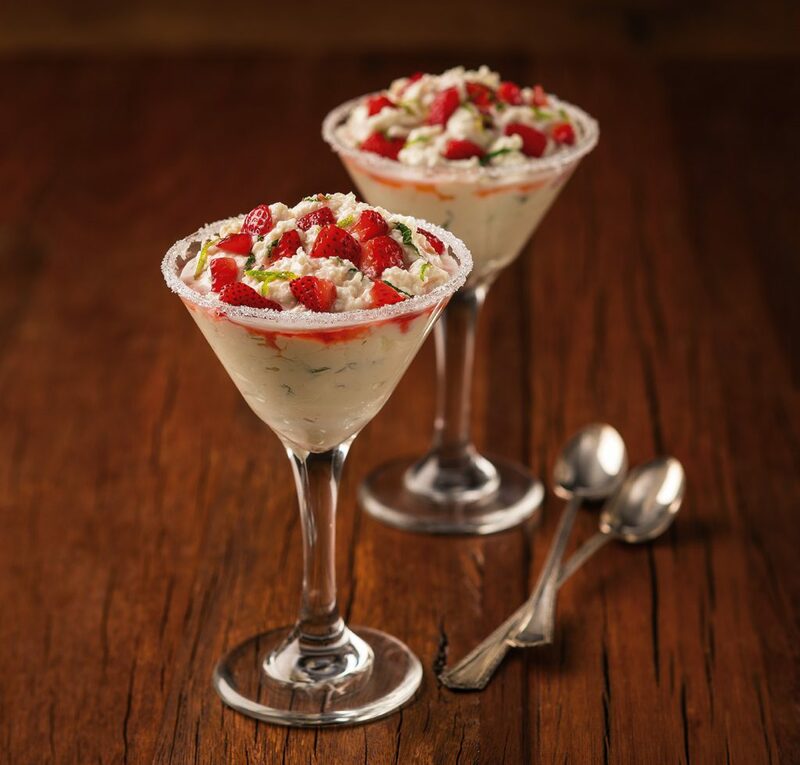 Spoon ricotta cheese into martini glasses in equal portions, add strawberries, and garnish with remaining mint and lime zest.